Most companies would like to maximize the operation of the warehouse, either by streamlining the placement and picking of goods, reducing the time goods are stored in the warehouse, or automating as much as possible to minimize labor costs, while improving accuracy. KMH can help you maximize your warehouse, improve efficiency and optimize your operation in a number of ways. 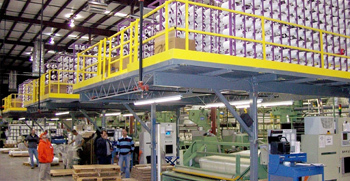 Different kinds of lift equipment, and sometimes even inventory, call for different layouts. At KMH we carefully work with you to be sure you are investing the optimized racking system for your operation. 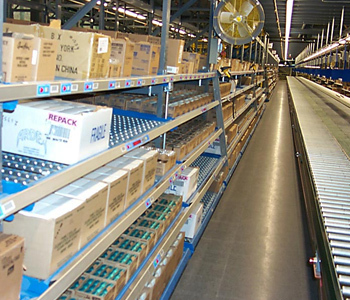 Pallet racks have helped many organizations eliminate new building costs, moving to new warehouses and easily decrease operational costs by maximizing their floor space. It is very important to have a system to store to retrieve stock, and it is imperative to be sure you invest your money and energy into a system that is right for you. KMH has over 30 years of experience helping companies do just that. Racking is the best system to use if you want to utilize your space no matter how big or small you may be. KMH has worked with every spaces of all shapes and sizes, and we can help you design the perfect system to fit your current and future needs. From systems that are taller than they are wider, to anything that will take up a very small amount of space. 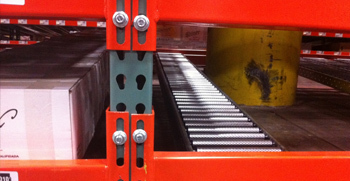 If you use forklifts in your facility we have a racking system to match your operation perfectly as well. 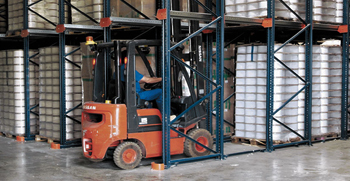 Forklifts can move around with relative ease when your facility’s space is properly maximized. 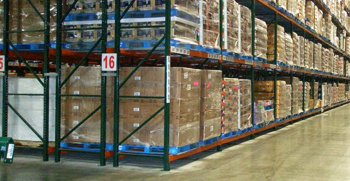 Pallet flow racking is also extremely cost effective when you consider how much product you can store in a given area. 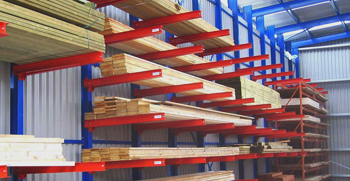 There are many varieties of pallet racking, and all types allow for the storage of palletized materials in horizontal rows with multiple levels. 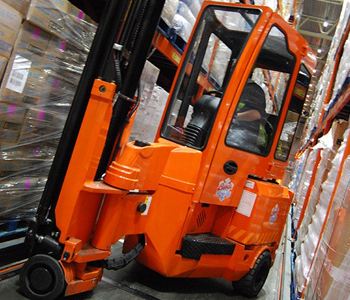 Forklift trucks are usually required to place the loaded pallets onto the racks for storage. Always ensure that the proper equipment is being used for the moving any pallets off and onto your new racking system. Different kinds of lift equipment, and sometimes even inventory, call for different layouts. 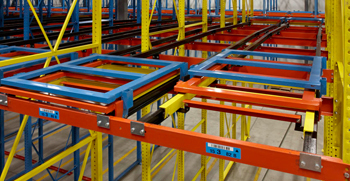 At KMH we carefully work with you to be sure you are investing the optimized racking system for your operation. As an example, movable pallet rack systems operate on mobile carriages that eliminate unused aisle space and can nearly double you storage capacity. Flexible and adaptable, movable systems work within almost any building support or ceiling restrictions and can be reconfigured easily if needs change. Storing more in less space is the key to efficiency. 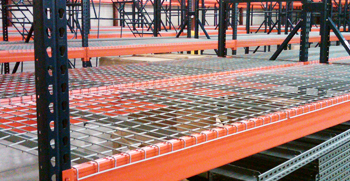 Careful pre-planning by KMH will save you money, & maximize your racking investment.